Chiseled on the base of the statue of Edward Everett Hale in the Boston Public Garden are the words: Man of Letters, Preacher of the Gospel, Prophet of Peace, Patriot. It’s an apt summation of one of the most influential men in Boston, perhaps even in the United States during the latter half of the 19th century. Yet today, how many people remember what he wrote, the religion he preached, his acts of patriotism, or his work for peace? Far fewer know that every day of the year, the actions Edward Everett Hale inspired in others continue to reach out and help those most in need in his much beloved Boston. 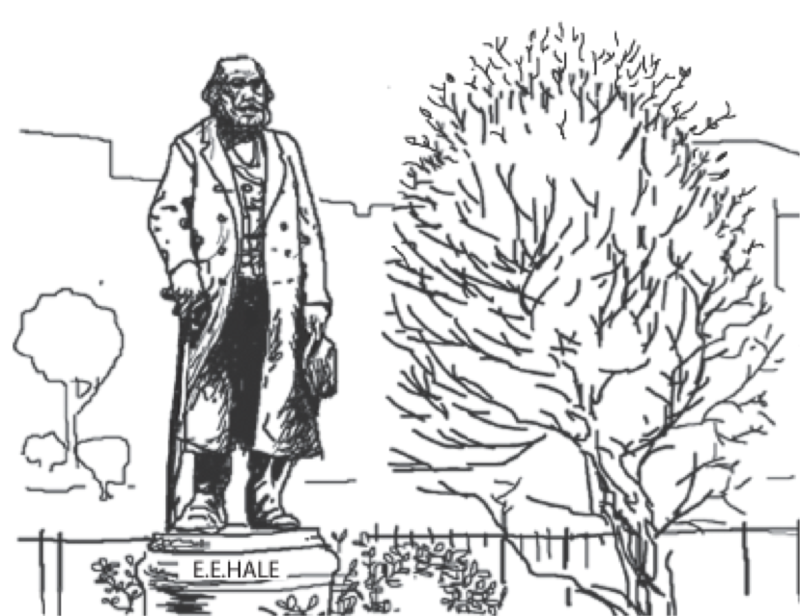 Born in 1822, when Boston’s population was close to 50,000 and cows still grazed on the Common, Edward Hale was raised not far from where his statue now stands. In his childhood, Edward Hale and his six brothers and sisters coasted down the slopes of the Common and played hoops on its paths.To understand Edward Hale, it’s necessary to first know that he came from a warm, loving and imaginative family. Edward’s father was editor of the Boston Advertiser and an early investor in the Boston and Worcester railroads. His uncle, Edward Everett, was a Unitarian minister and famous orator. Visitors at the family home included Congressman Daniel Webster. More importantly, his mother, Sarah Hale, created a home that provided opportunities for play and exercise of mind and body in both house and garden.The warmth of the family circle had a profound influence on Edward Hale. He became a man who saw the world as a family of brothers and sisters to be loved and cared for. When Edward married, he and his wife Emily replicated this warm family circle in their own home. But more than that, his ministry, both in his congregations and in the world, was focused on bringing the love he had known from his earliest days into the world at large. Edward ‘s father favored a career in business or the literary world for his son, while his mother who came from a family of ministers was hopeful he would become a minister. Edward saw all three as possibilities. After some struggle, he chose the ministry. But he also became a renowned writer. After graduation from Harvard, Edward chose to read divinity on his own rather than going to Harvard Divinity School. He felt the divinity school taught too much from books and not enough from life. 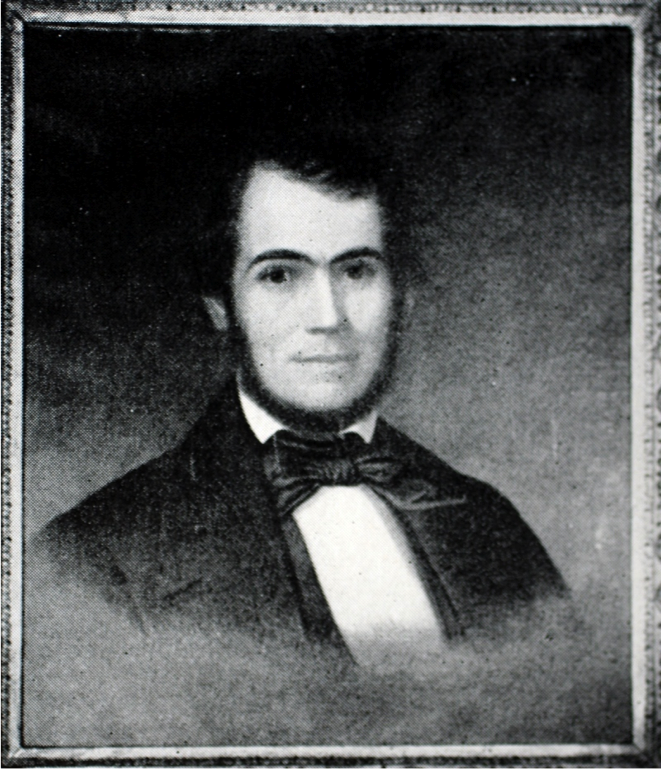 Hale was contemptuous of the Harvard method of education which at that time was largely recitation.Later his attitude toward Harvard mellowed, and he served many years on the Harvard Board, as well as preaching there, counseling students, and organizing a student club for social work which later became Hale House for settlement work. Speaking of Harvard in his mature years, Hale credited the university with instilling in him the attitude that men of education and privilege have a responsibility not only to themselves but more crucially to their community. These values of character and service — deeply rooted in the Unitarian ethic of both his home and college — guided him all his life. 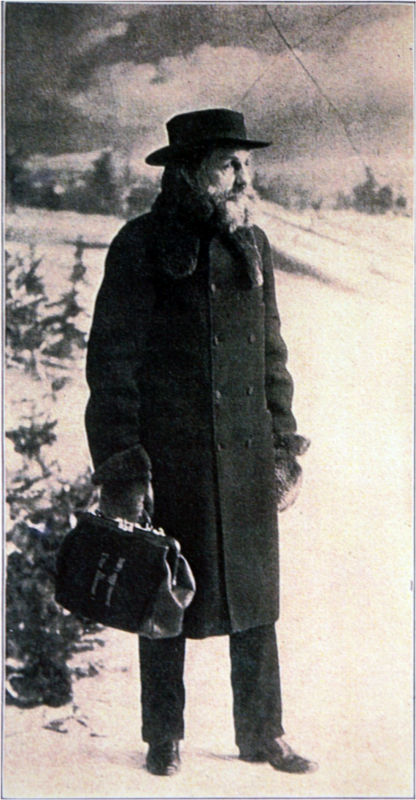 The young Hale spent three years at a variety of jobs, teaching, reporting, and even traveling for the railroad, all the while reading divinity texts. After four years, he applied to the Dean of Harvard and the American Unitarian Society and was granted “a license to preach.” He was still fluctuating, however, between the decision to be a minister or a writer. For several years he took interim preaching positions as he strove to make up his mind. His indecisiveness was not entirely over his choice of profession, but also about the choice of congregation. He wanted a congregation close enough to Boston so that he could retain his family ties and a congregation where he could be the minister he felt called to be. That meant he had to find a congregation which felt, as he did, that the church must minister to the community outside its walls as well as within, both pastorally and prophetically. Viewing Christianity as a religion with great potential to teach unselfishness, Edward Hale envisioned a ministry not of the status quo, but one that would challenge the status quo. 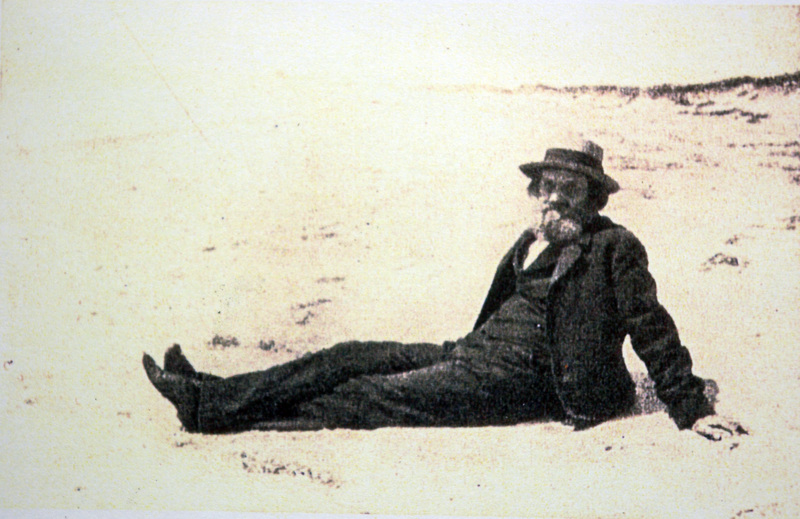 Hale’s personal faith was strong and uncomplicated. He felt at one with God, so much so that he sometimes feared the very simplicity and sureness of his faith might be a drawback. His whole creed, he said, could be summed up in the phrase “Our Father who art…Not My Father, not Your Father, but Our Father. And not Our Father who wast in some distant past but who art a living, constant Presence with us all.” The problem was that he wondered how he could prepare sermons for a lifetime propounding such a simple faith. What else could he say? He managed to preach for almost 70 years, so he must have solved the problem. Five years out of Harvard, after several successful interim ministries Hale settled as pastor of the Unitarian church in Worcester, MA. The congregation was close enough to Boston by train for him to keep in touch with his family, and open to their minister being a social advocate, in this case, for the Irish emigrants who arrived in Worcester fleeing from the potato famine. During his time in Worcester, Edward Hale married Emily Perkins, a marriage of happiness, blessed with many children. He stayed in Worcester for ten years and then in 1856 accepted the pastorate of Second Congregational Church in Boston where he remained until his retirement 43 years later. Among his parishioners in Worcester was Moses Phillips, who in 1857 started publishing a new magazine, the Atlantic Monthly, which became an outlet for Edward Hale’s writing. Among his first stories was a humorous account of a minister in Maine, who overwhelmed with his pastoral duties, trains another man to be his double, first with success, and ultimately with comic disaster. The writing of humorous stories was to prove a form of relaxation for Edward Hale throughout his ministerial and writing careers, until 1884 when he killed off his humorous fictional counterparts. However, the bulk of his writing was of a serious nature, and extremely varied including theology, social critique, history, memoirs and serious fiction. Although he had hoped a war could be avoided, once war broke out, Hale became ardent in his efforts to recruit young men for the cause. From the pulpit each Sunday he sent out a call for enlistment, saying that “when enlistments from his church ceased, he’d resign and go to the front.” He also spoke up for the need to enlist black soldiers. On his father’s side, Edward Hale descended from Nathan Hale, the revolutionary patriot, most noted for his famous words before his execution by the British: “I only regret that I have but one life to give for my country.” Edward inherited the spirit of Nathan, for Edward Hale was a deeply patriotic man. However, his patriotism was not a belief that his country could do no wrong. Edward Everett Hale balanced the ideal of sacrificing for one‘s country with the equally important ideal of speaking out against wrongs that would endanger the national morality. In response, Hale wrote his story of an army officer who at his trial for treason cries out “Damn the United States. I wish I may never hear of the United States again.” His punishment is to be jailed for the rest of his life on a Navy boat and never to hear the name of his country again. The Ohio congressman lost the election before the story was published, but the story was an instant success. Adding to its popularity was the furor created by those who thought it was not fiction but fact. During the Civil War, Edward Hale served on the Sanitary Commission with the Reverend Henry Bellows and Clara Barton, and in April of 1864 President Lincoln arranged a visit for Hale to the front lines camp of General Butler. A few days after his visit, Hale was asked to return with some dispatches for Butler, and remained for several weeks acting as Butler’s secretary, relieving a lieutenant whose expertise was best used elsewhere. Hale proved helpful in handling a variety of issues, including relieving the distress of a friend from the days of his interim ministry in Washington, D.C., the widow of President Tyler. It seems that the Union soldiers had been absconding with the milk from Mrs. Tyler’s cows. The Reverend Hale spoke up for Mrs. Tyler and soon the presidential cows were once more providing the widow with sustenance without interference from the Union. Perhaps the most lasting achievement of Hale’s life was the result of a magazine he published for five years called Old and New. Among its first serials was one by Hale, titled Ten Times One is Ten. Based on the life of a dear friend from Hale’s Worcester days, Edward Greenleaf, it tells the story of mourners meeting at the funeral of a friend and each relating how the man had changed their lives. They decide to form a club in his memory with the motto: “Look up and not down. Look forward and not back. Look out and not in. Lend a hand.” One of the members acts as a recording secretary of the effects of the club in the ensuing years, and reports at story’s end that the club has grown to include the entire population of the world. In actuality, the story and its suggestion caught hold as well. By 1870 fifty Ten Times One Clubs had been formed and the number rapidly grew all over the world. The Methodist Sunday Schools took up the idea and called their clubs for over 6000 children, Look Up Legions. 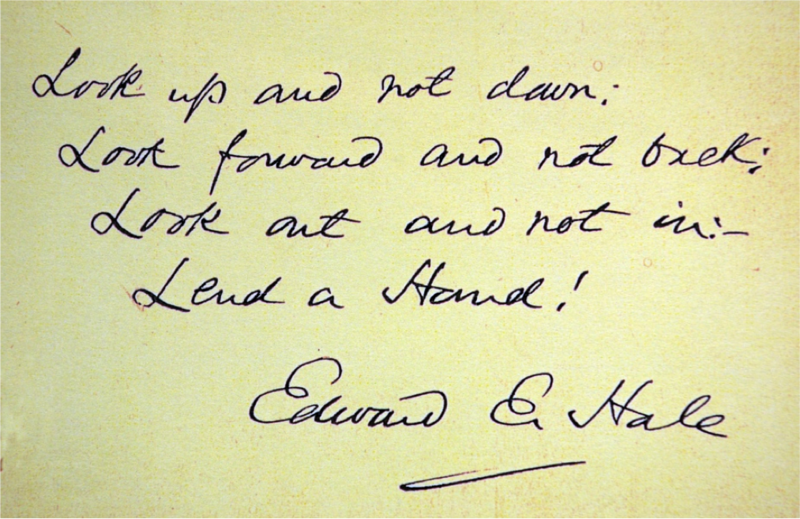 Eventually the clubs came to be known as Lend a Hand Clubs and by 1886, Edward Hale was editing a new monthly journal, Lend A Hand: A Record of Progress, which reported the activities of the clubs and also included articles on social issues of the day, such as Indian Rights. Although the Lend A Hand Clubs are no longer, the Lend A Hand Society in Boston has served as a nonsectarian benevolent organization which each month for over 100 years has lent a hand by giving out small but crucial grants to those facing financial crises, as well as giving out grants for camperships for Boston youth and book grants to institutions throughout the country. Lend A Hand is funded by an endowment and from gifts from the public. 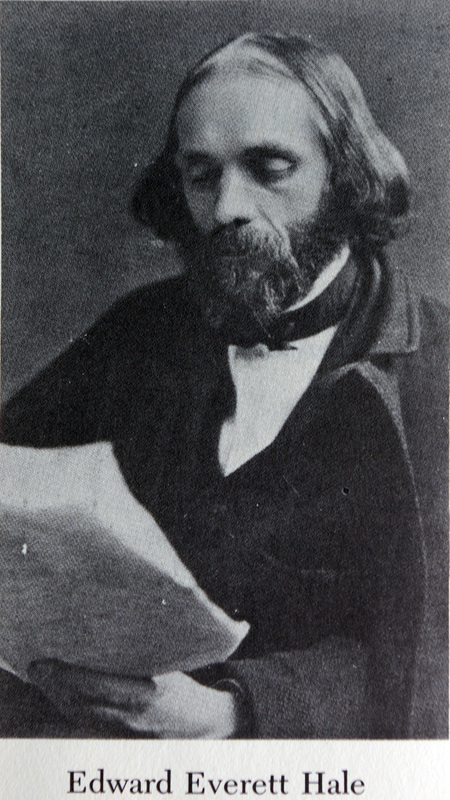 Edward Everett Hale died in 1909. Yet every day in Boston, his spirit reaches out and lends a hand to those in need. New generations arise, but so far, there have always been people ready to heed his words and carry on his legacy. 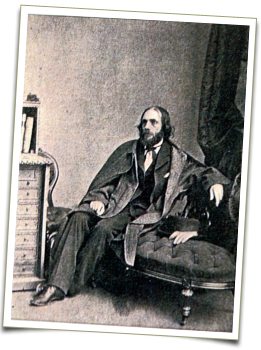 Edward Everett Hale as a young man. 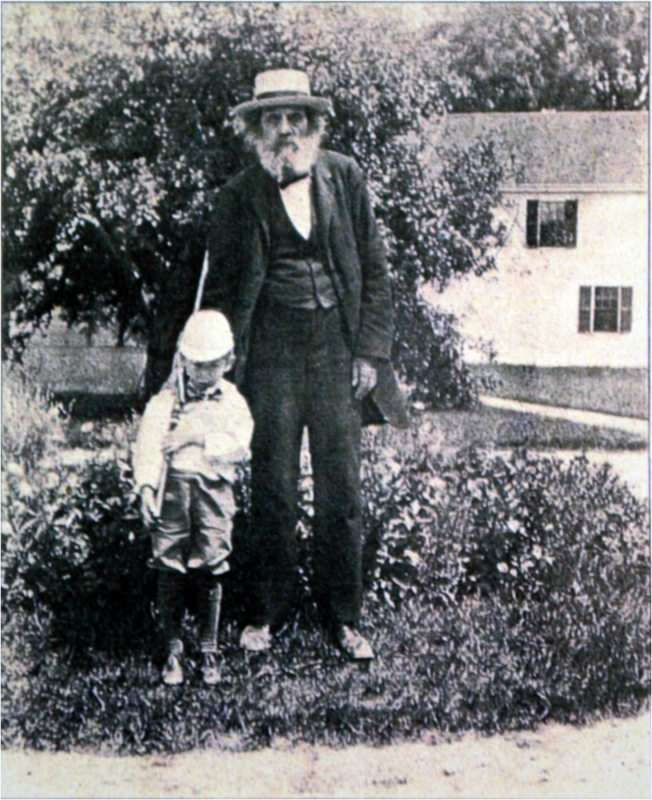 Hale often walked from rural West Roxbury to Boston. All his life Reverend Hale had a soft spot for children. 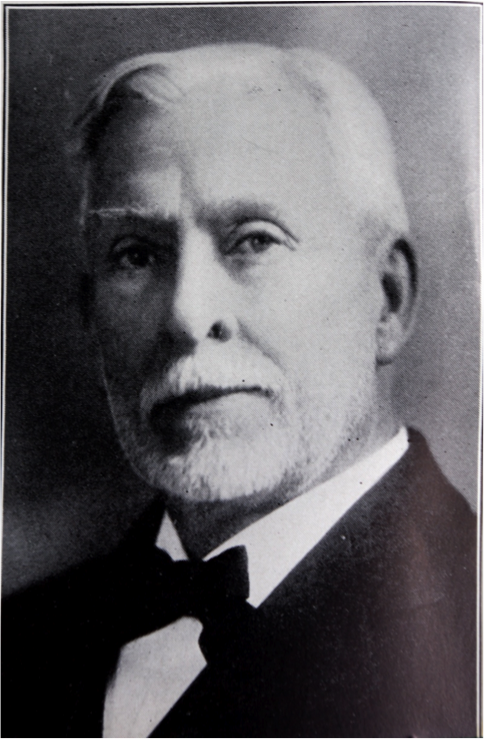 He and his wife Emily Perkins Hale had nine children of their own. When he visited parishioners, clients or friends, Hale left self-designed cards with photos or illustrations and moral statements. 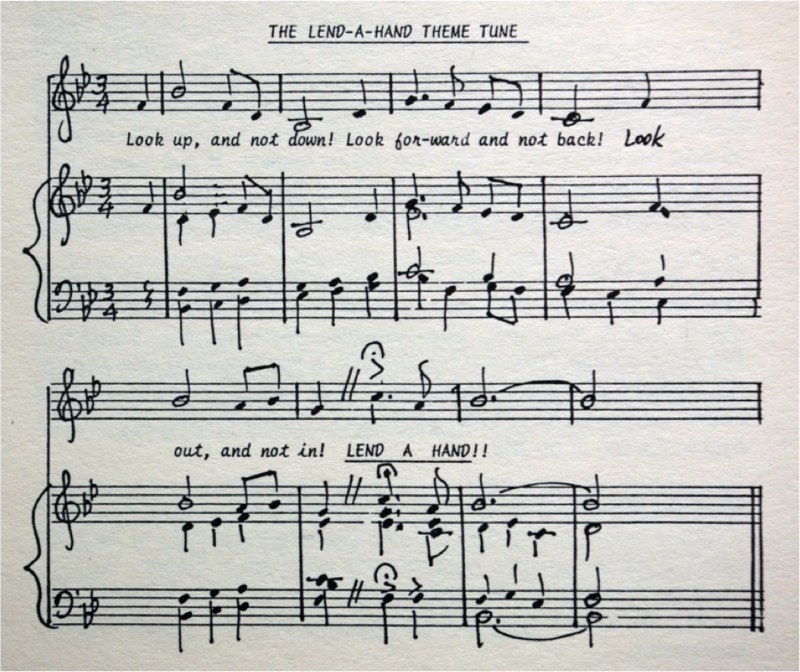 The Lend A Hand Society grew out of the enthusiastic national response to a short story titlled “Ten Times One is Ten,” written in 1870 by Edward Everett Hale. The story tells of 10 people who meet at the funeral of a mutual friend named Henry Wadsworth and discover he had helped each one of them. They resolve to follow the example of their late friend and to help their fellow humans. If each person they aided would in turn lend someone else a hand (10 x 1=10, 10 x 10 =100 and so on), the spirit of helpfulness would pyramid and could encircle the globe. 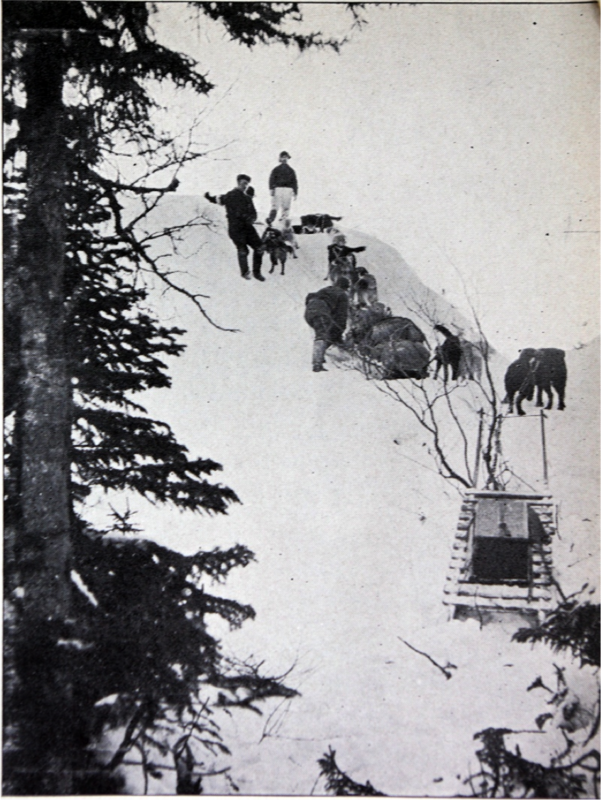 was the inspiration for the 1870 story Ten Times Ten. The motto was included in the story. Lend a Hand clubs sprang up across the country and around the world after its publication, eventually numbering over 800. 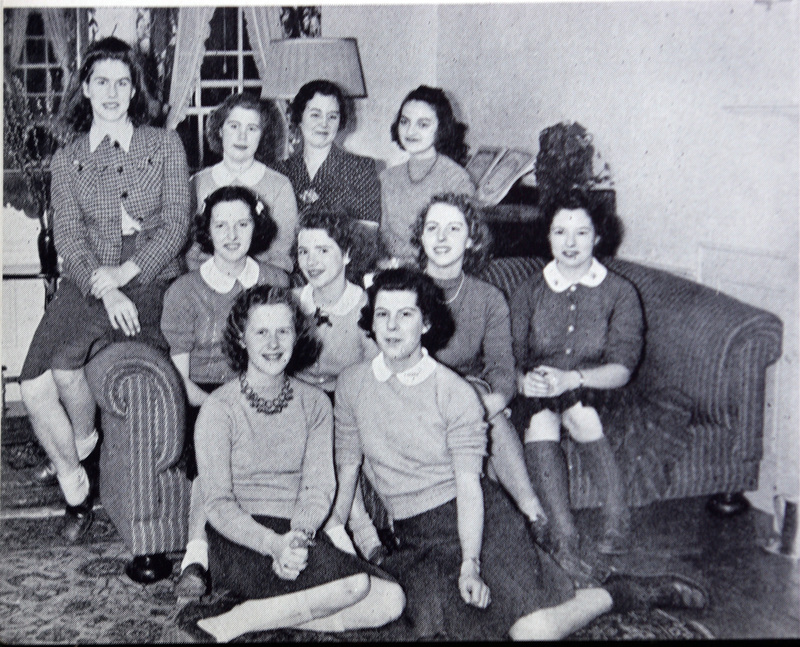 There were many names for the clubs which began in response to Ten Times Ten: Sunshine Club, King’s Daughters, From the start, Hale stated that each club would be independent, though small donations to the Boston central office supported monthly newsletters and regional meetings. Clubs earned money or collected dues from members for projects serving others in their own communities. Although most had modest memberships, the club in Davenport, Iowa, begun in 1886, had its own building and housed young women in need of shelter into the 1960s. 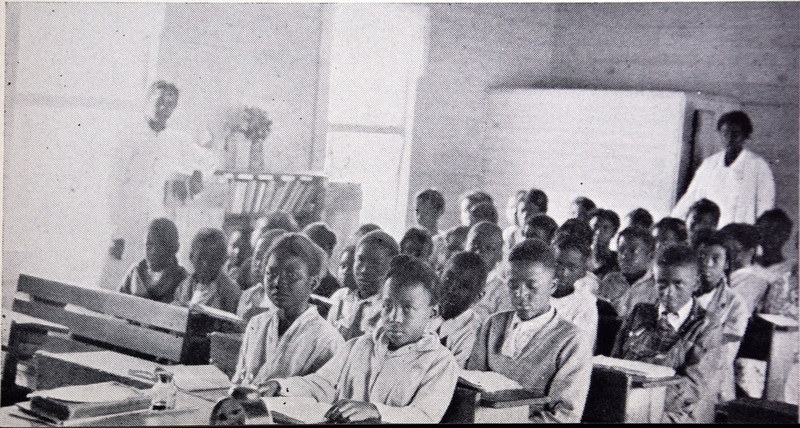 Clubs were open to girls and boys, many were part of local churches. They preceded the Scout movement in the US. 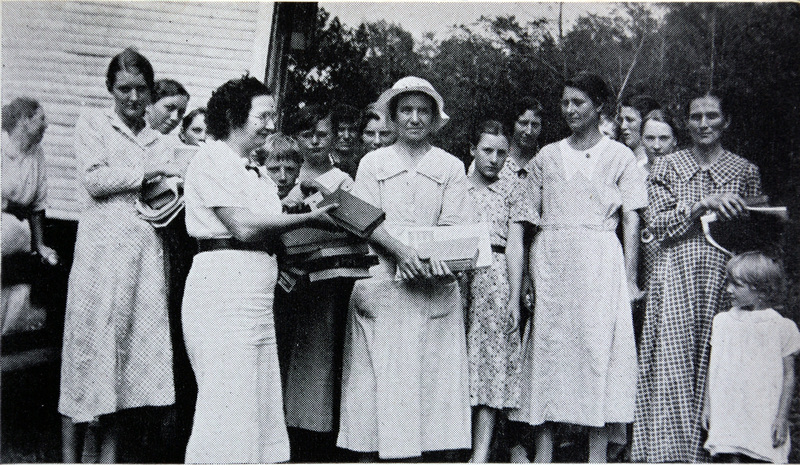 The Book Mission began in 1890, affiliated with Lend A Hand, and then merged with LAH in 1914. Here people enjoy the bookmobile. New school library made possible by Book Mission funds. This sled is carrying the Lend A Hand medicine chest for the Grenfell Medical Mission in Labrador Canada. Lend A Hand club donations stocked the chest. 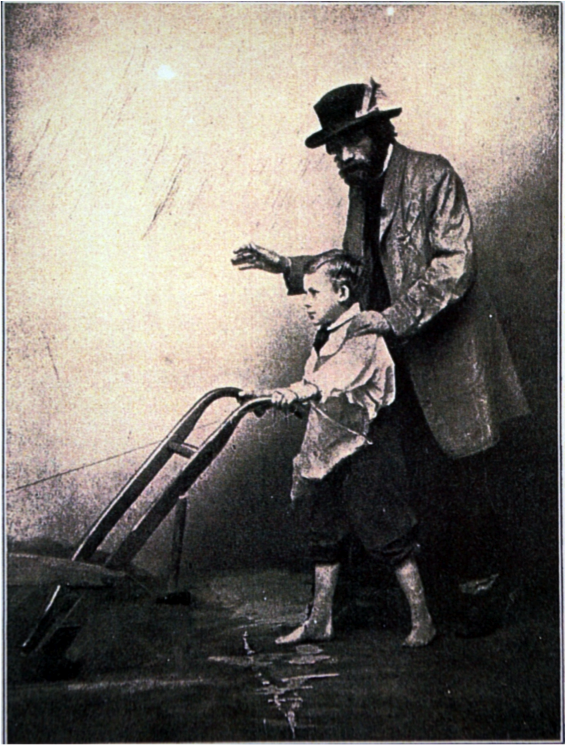 The Reverend Rufus Tobey approached Hale for help with an idea: could a boat for ill children become a project for a committee of his Lend A Hand Society? A borrowed boat for one day at sea for ill children proved a good idea and it was repeated the following year. 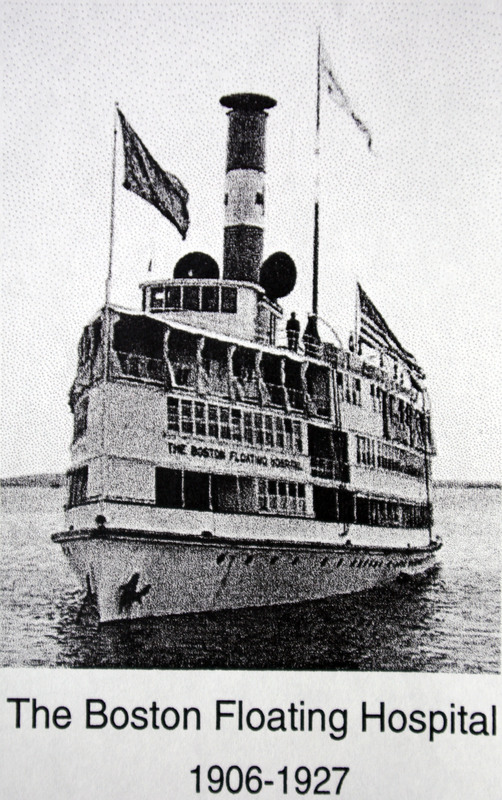 The floating hospital was born. When the project became financially secure it went on its own. A boat designed for the purpose worked for 21 years. After it was demolished by fire, the hospital became land bound. One of its successors became the New England Medical Center. During his tenure, American social welfare changed as government began support networks which made some services, like providing small stipends for the elderly and payment for sewing layettes to women needing income, outdated. But the need for emergency services has not abated. Hale was the activist whose writings began Lend A Hand and whose energy and network of acquaintances kept it going. However, from the beginning the work was accomplished through the efforts of volunteers as well as staff whose social work and administrative skills made the many programs possible. Today contributions and income from an endowment established to celebrate Hale’s 75th birthday and perpetuate his work support one part-time staff professional to carry on the work of Lend A Hand.